Syfy"s Hunters Season 1 looks amazing and is a definite watch for me. This new sci-fi TV series premieres tonight, April 11, 2016. Watch as a group of agents tackle terrorists like no other, another species of humanoid terrorists "who may or may not be from this world." Syfy"s Hunters stars Nathan Phillips, Britne Oldford, and Mark Coles Smith. Premiering Monday, April 11th at 10pm ET/PT, HUNTERS follows Baltimore FBI agent Flynn Carroll (Nathan Phillips, "Wolf Creek") whose wife suddenly and mysteriously goes missing. His search for her leads him to a highly-classified government organization - the Exo-Terrorism Unit (ETU) - who track and fight alien terrorists. Britne Oldford ("American Horror Story") plays Regan, a valuable ETU operative keeping secrets of her own. The series also stars Julian McMahon ("Nip/Tuck") as the dangerously unhinged terrorist, McCarthy. 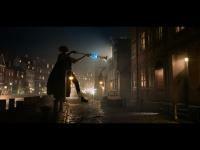 Fresh off New York Comic Con, we have some cool Hunters news. 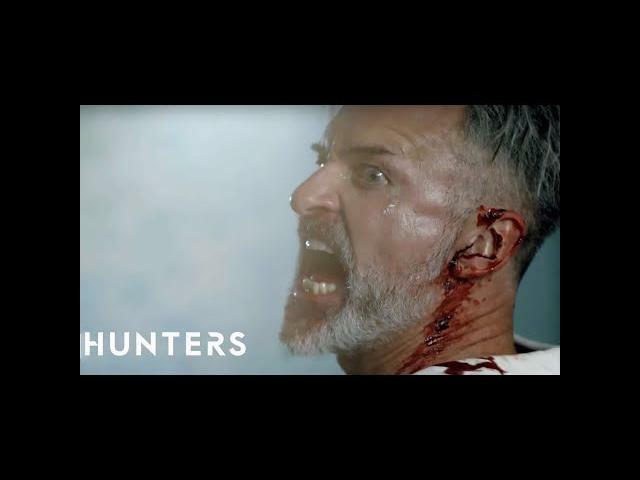 For those not in the know, Hunters is a new series coming to SYFY in April (2016) , from executive producers Gale Anne Hurd (The Walking Dead, The Terminator movies) and Natalie Chaidez (12 Monkeys, Heroes). It’s about a secret government unit dedicated to fighting terrorists – except, said terrorists are not of this world. Julian McMahon (Nip/Tuck), Britne Oldford (American Horror Story) and Nathan Phillips (Wolf Creek) are all stars. Follows Flynn, a headstrong Baltimore FBI agent with a dark past, along with Regan, one of the government's most valuable operatives who may be keeping secrets of her own, and McCarthy, an unhinged junkie and Hunter cell leader.. Flynn's search for his missing wife leads him to a secret government unit assembled to hunt a group of ruthless terrorists - shadowy figures that may or may not be from this world.